1. 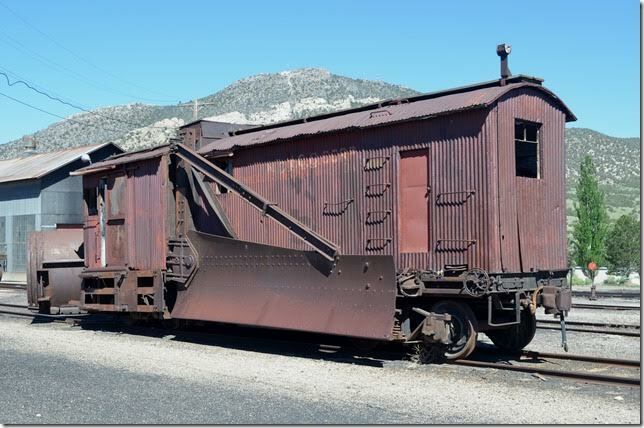 Nevada Consolidated Copper Corp. spreader. Ely NV. 06-17-2016. 2. 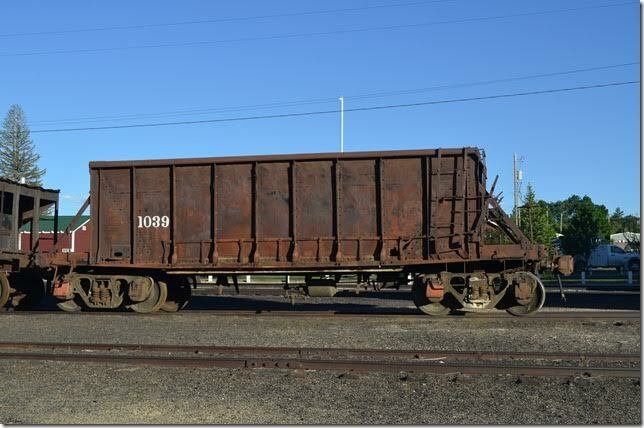 NCC Corp. ore car 1039. 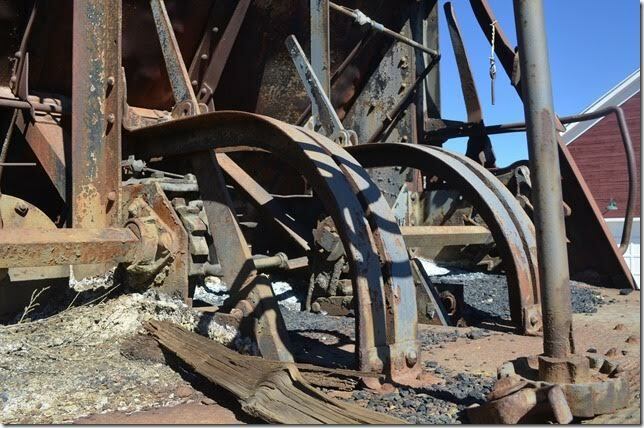 Trucks were forged 11-1937. Ely NV. 3. 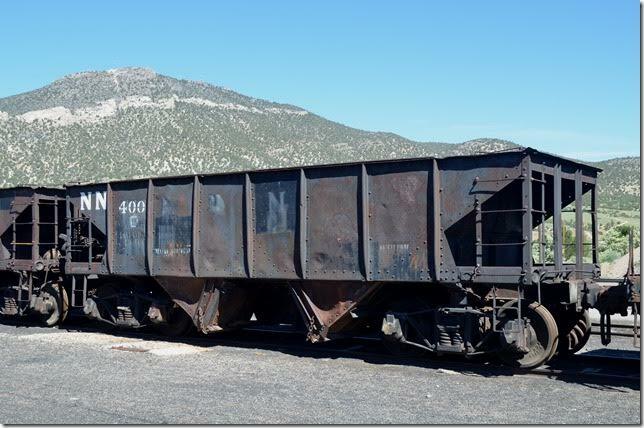 Nevada Northern hopper 402 has 100,000 load limit. Ely NV. 4. NN hopper 400. Ely NV. 5. 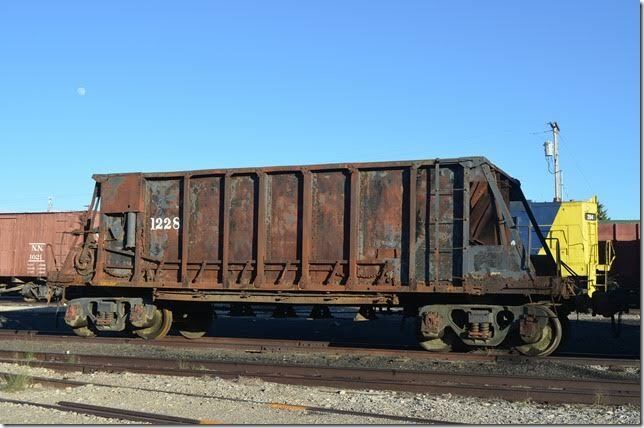 NN ore car 1219. 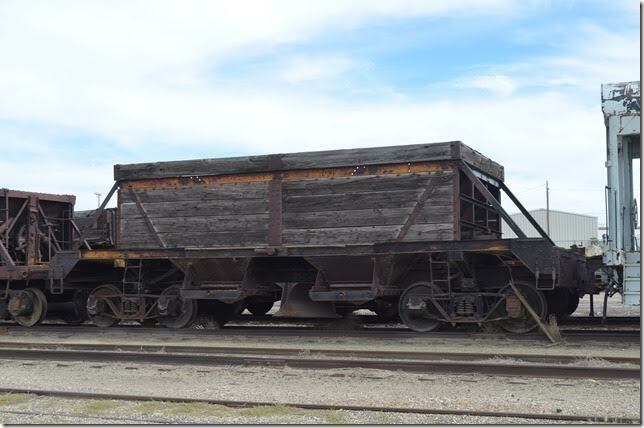 NCCC 900 appeared in the 1931 Car Builder’s Cyclopedia, and it was described as an 80-ton Ingoldsby-Enterprise side discharge ore car. 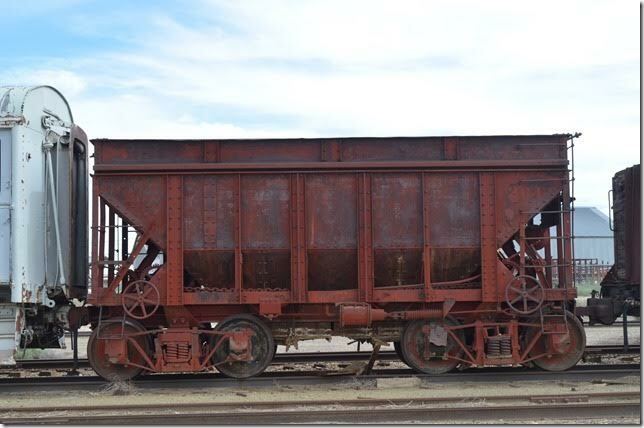 Another photo of the same car in the same edition describes it as an “Ingoldsby type ore car”. No. 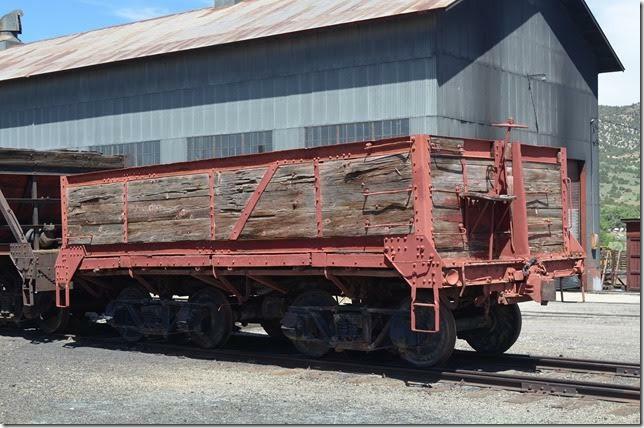 900 was built in 1926 by Magor Car Corp. 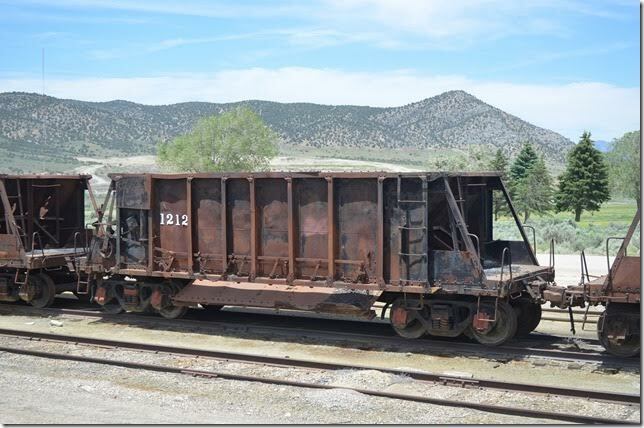 The diagram of these cars specifies that they are for copper ore service. No. 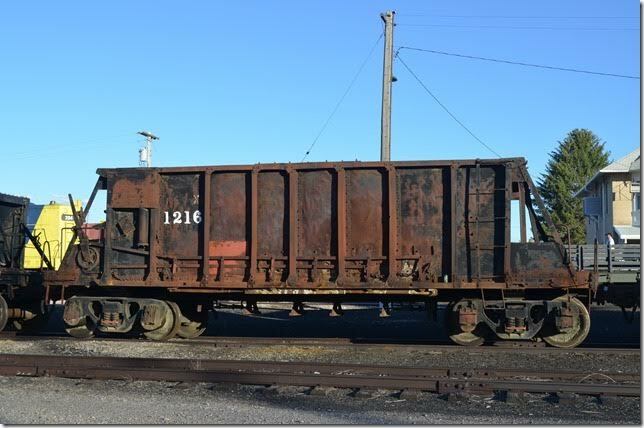 1219 was built by Koppel Industrial Car & Equipment of Koppel PA (near Pittsburgh on the P&LE). 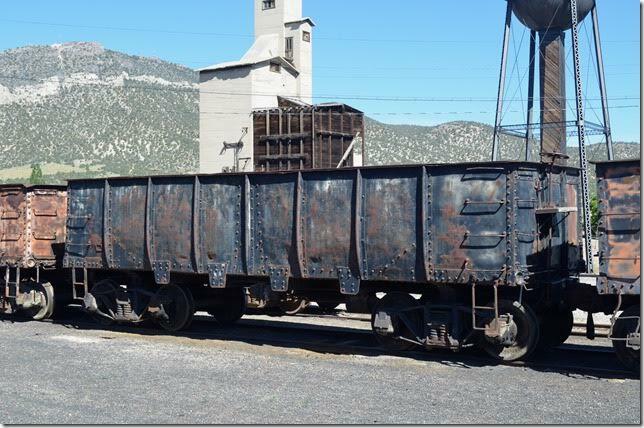 Maybe that truck date of 1937 on car 1039 was when the car was built. Ely NV. 6. 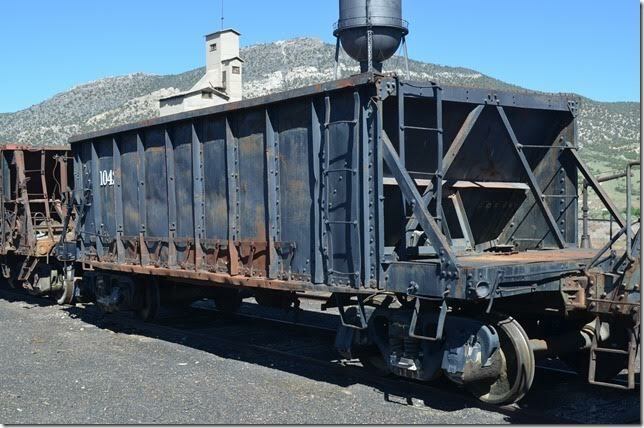 NN 1216 was also built by Koppel. That lever on the left end indicates how the doors were opened. Ely NV. 7. NN 1228 is of the same breed. 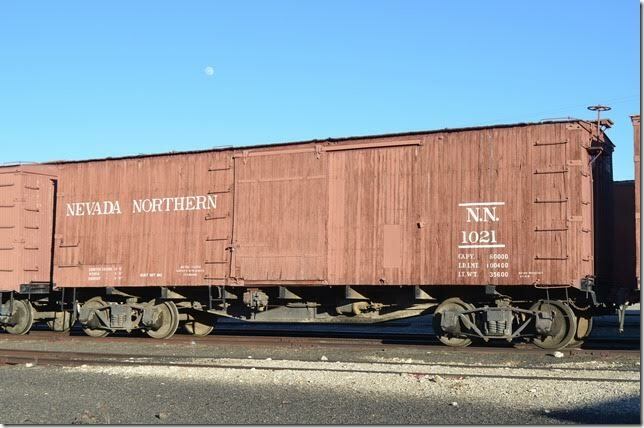 These cars are still used on NN’s photo freights. They’ve had many years of hard service. 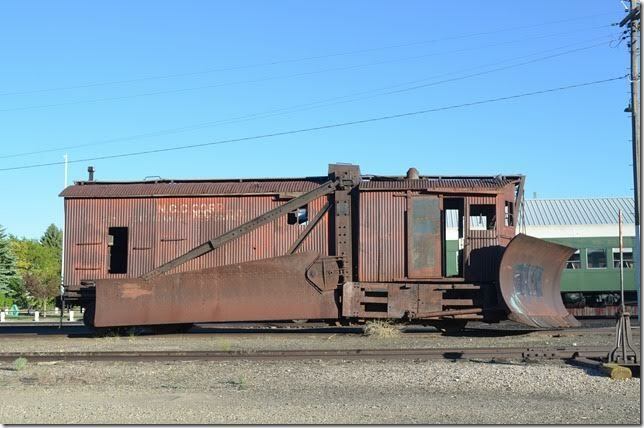 McGill smelter/concentrator had a rotary car dumper. Ely NV. 8. 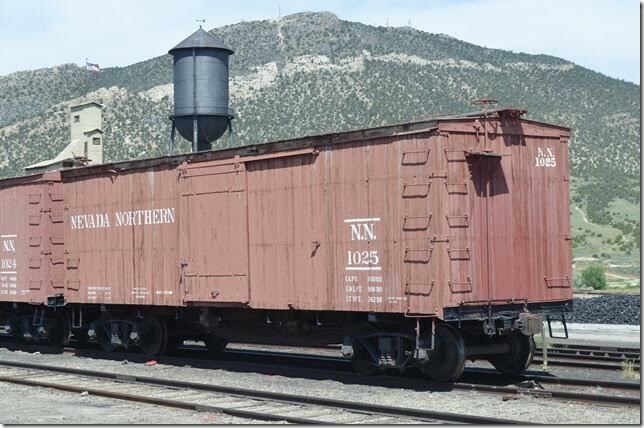 NN box car 1021 was built 10-1912. Ely NV. 9. 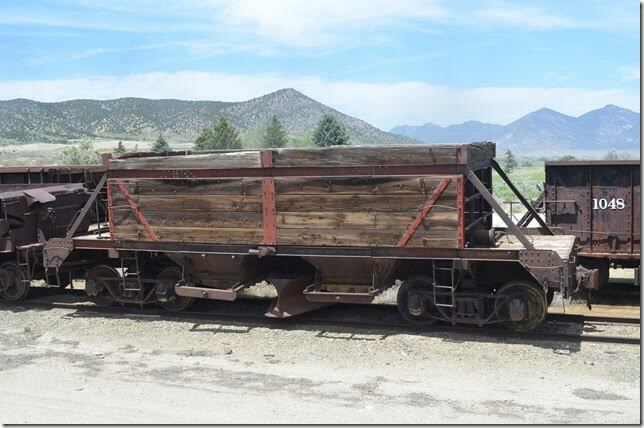 NN box car 1024 Ely NV. 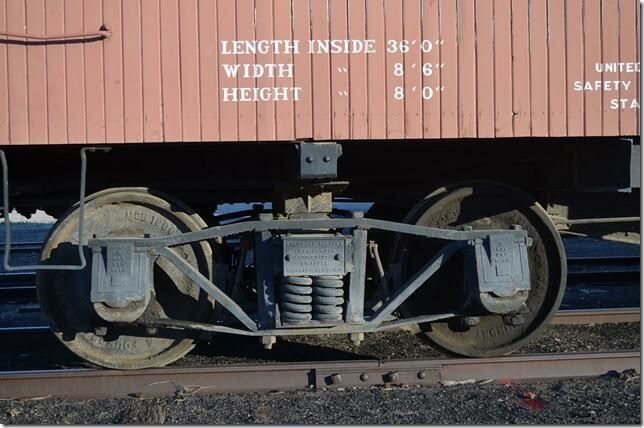 These are also used on the photo freight. 10. 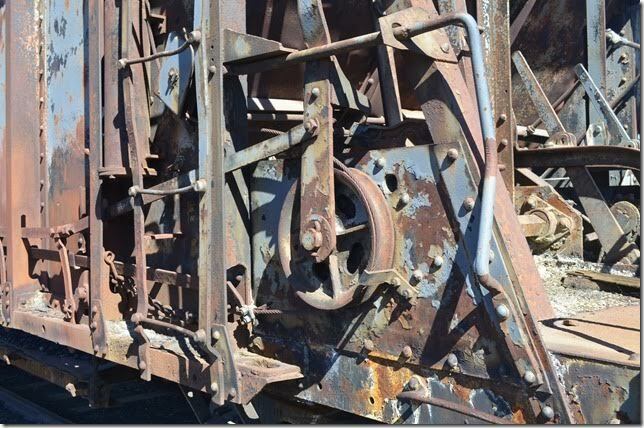 American Car & Foundry wheel on car 1024. Ely NV. 11. 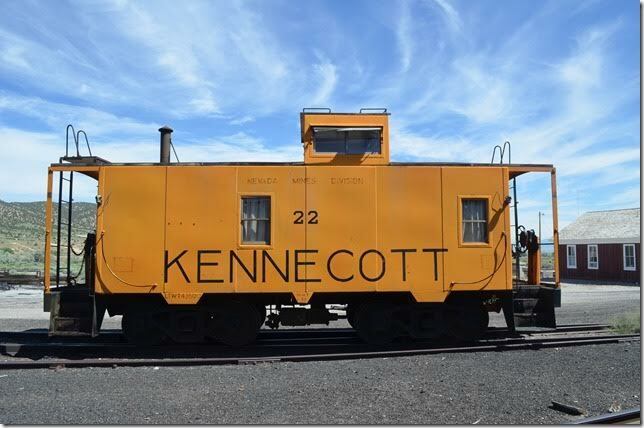 KCC caboose 22 was built 01-1955. Ely NV. 12. 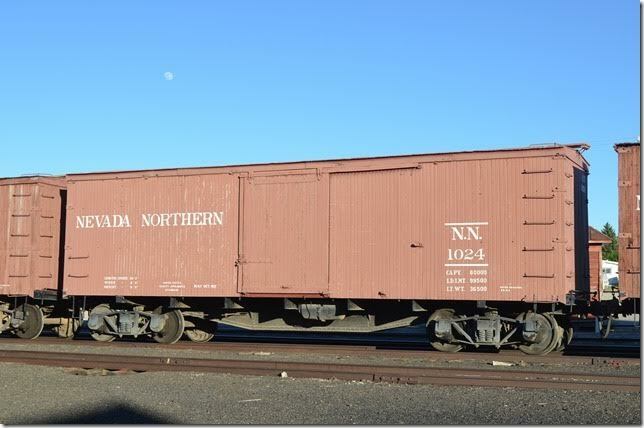 NN box car 1025. 06-18-2016. Ely NV. 13. 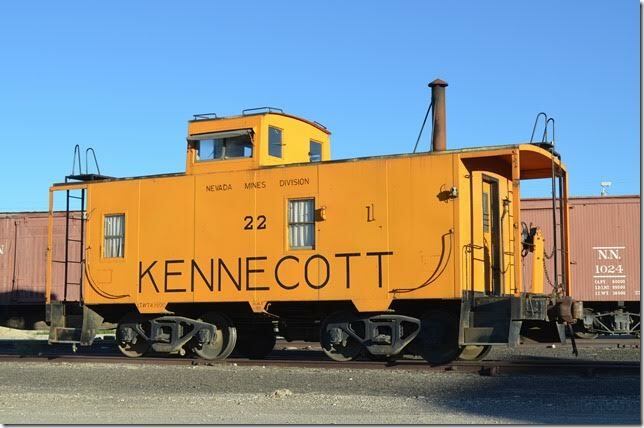 KCC caboose 22. Ely NV. View 2. 14. 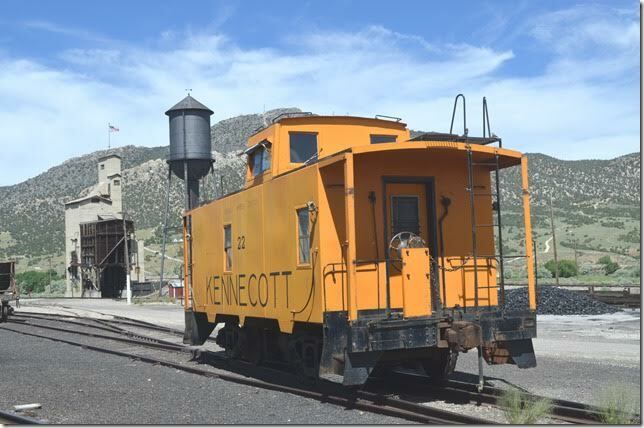 KCC caboose 22. Ely NV. View 3. 15. NN wooden gon number unknown. Ely NV. 16. 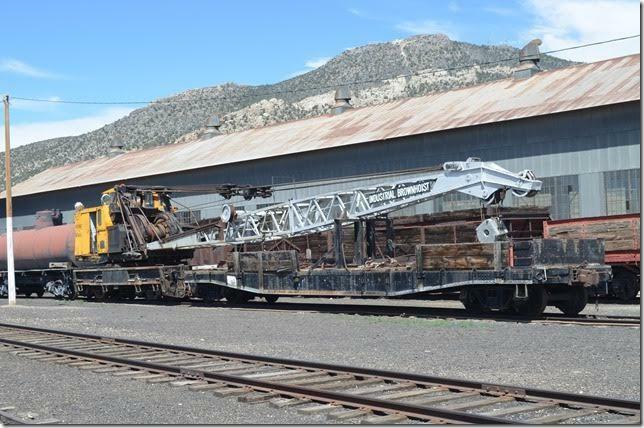 KCC DF80 crane. Industrial Brownhoist with 55 ft. boom. Ely NV. 17. 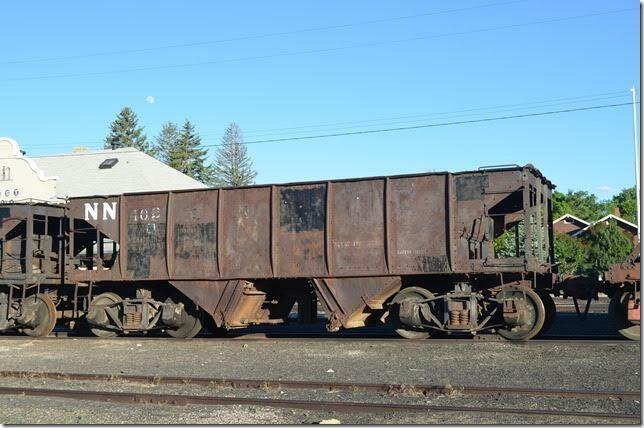 NN ore car 1212 in the ore yard. Probably a Koppel car. Ely NV. 18. 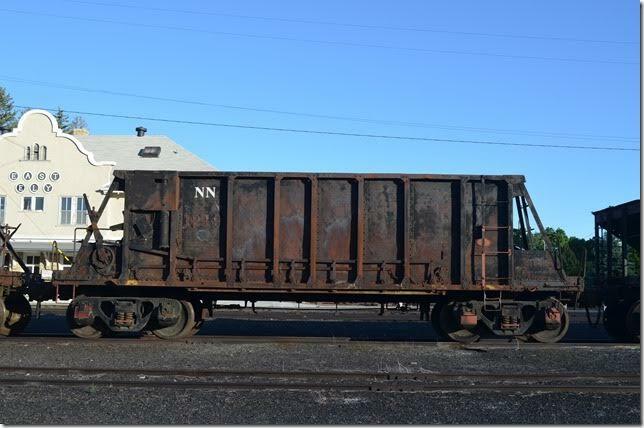 NN ballast hopper number unknown. Note the blade between the doors. Ely NV. 19. 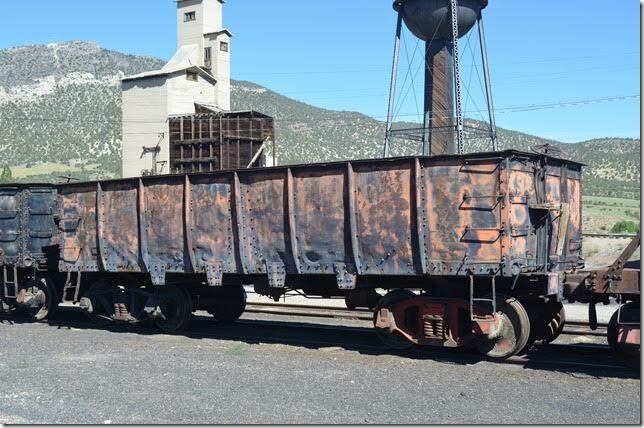 NN ballast hopper number unknown. Same car from the other side. Ely NV. 20. 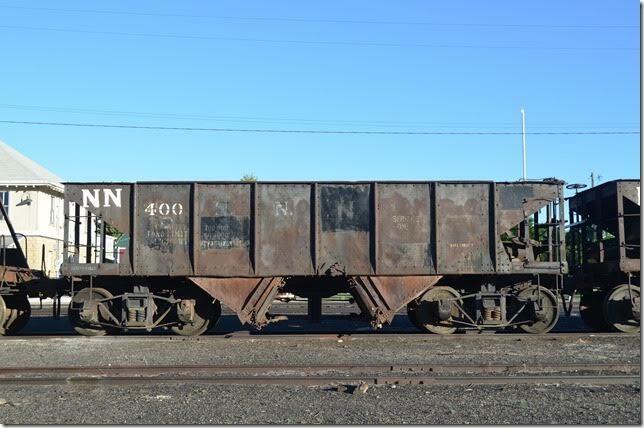 NN ore hopper 204. Ely NV. 21. 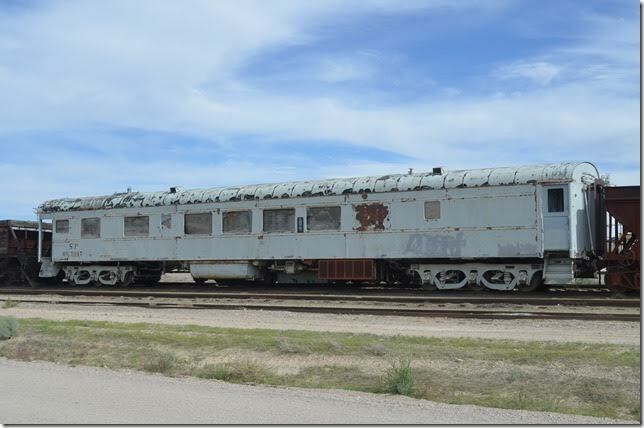 Southern Pacific camp car 7047. Ely NV. 22. 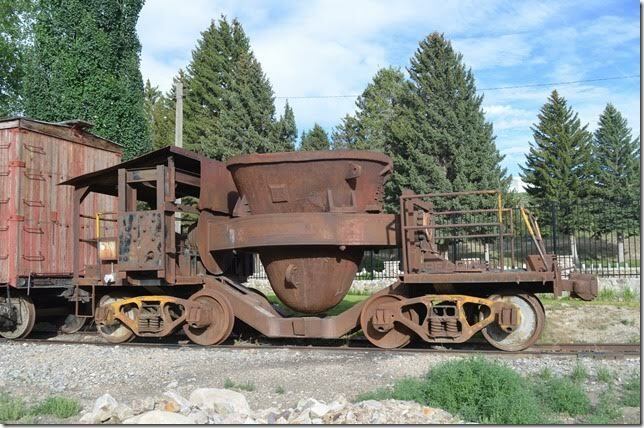 KCC Treadwell slag pot used at McGill smelter. Ely NV. 23. 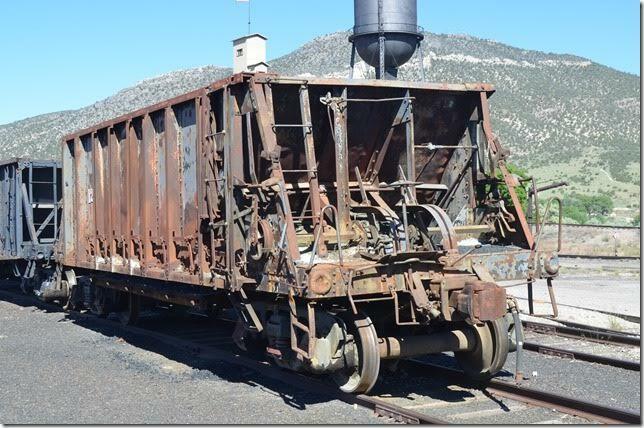 NN ore car 1228 is a Koppel car with Simplex trucks patented 11-23-2011. Ely NV. 24. 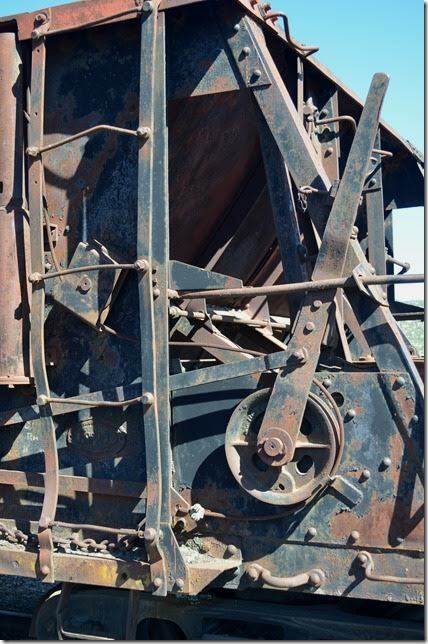 NN Door raising mechanism on 1228. Ely NV. 25. NN 1228 door raising mechanism. View 2. Ely NV. 26. NN hopper 1042. Ely NV. 27. 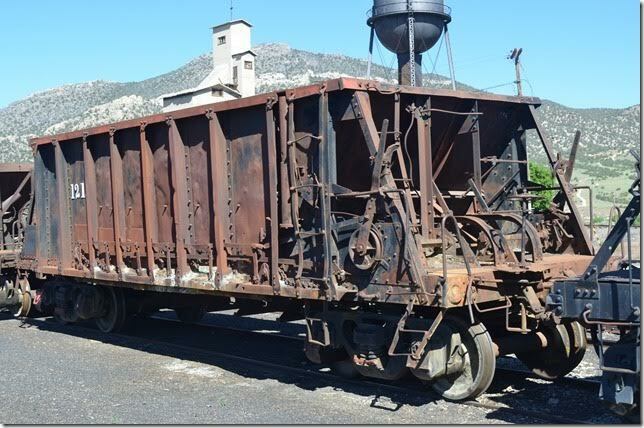 NN 1210 is a Koppel car. Ely NV. 28. NN 1210 door raising mechanism. Ely NV. 29. NN gon 404. Ely NV. 30. NN gon 434. Ely NV. 31. NN hopper 400. Ely NV. 32. NCC spreader / flanger. View 2. Ely NV.